Pro-life students at Wilfrid Laurier University say they will no longer be able to put up their pro-life flag display, with campus leaders explaining such exhibits are too traumatic after one last fall caused an uproar on the Canadian campus. 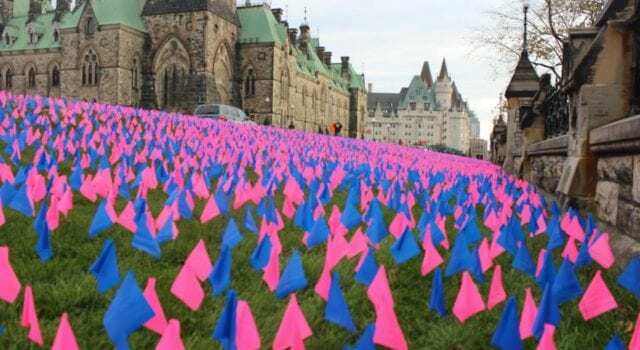 The display used 10,000 pink and blue flags to represent the 100,000 abortions each year in Canada. 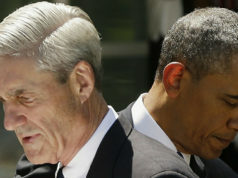 Previous articleObama spying runs deeper and darker! 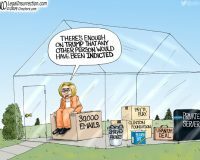 Next articleArt depiction Trump beheading is OK?